What could be better than fruit and chocolate. All you need is chocolate a microwave and some dates or other dried fruits for dipping. I like dark chocolate with my dates because it’s a nice contrast to the sweetness of the dates. 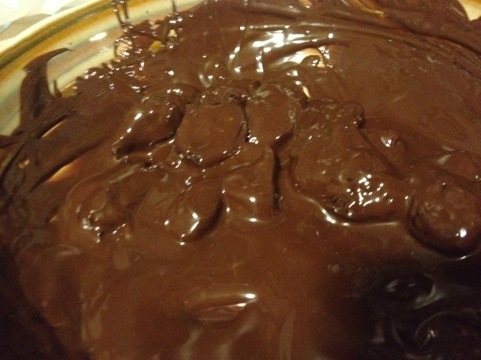 I microwave my chocolate for one minute and then stir. Them for 30 seconds at a time being sure to stir well each time. 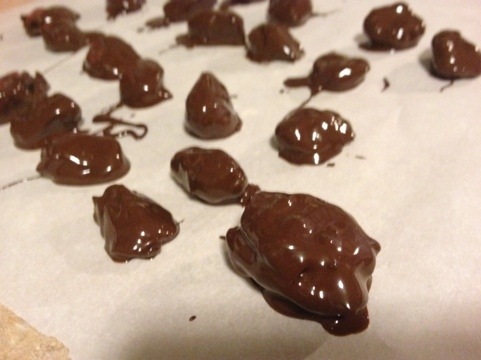 When your chocolates ready just dunk your dates and line them up on parchment paper until they’re dry.